Museum of Flight or Future of Flight? Did you know that, even though they have similar names, there are a lot of differences between the Museum of Flight on East Marginal Way and the Future of Flight Aviation Center & Boeing Tour, which is located in Mukilteo, 25 miles north of Seattle. 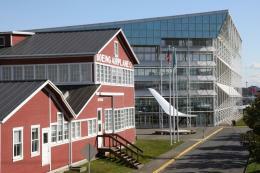 The Museum of Flight has historic aircraft and space exhibits. From the Wright brothers to outer space—the wonder of flight comes alive in more than 85 historic aircraft, interactive exhibits and family activities. The Museum&apos;s mission is to educate visitors. The staff acquires and conserves a valuable collection of artifacts relating to air and space history and technology. They, in turn, exhibit artifacts in an educational and entertaining manner, which motivates the young, educates the novice, and stimulates the professional. This results in the education of the public in the history of air and space development, science, and the humanities. 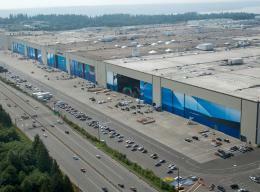 The Boeing Tour focuses on aviation innovation in design. Visitors can view the 747, 767, 777, 787 jets being assembled before they take to the sky. To sum it up, the Museum of Flight focuses on where we&apos;ve come from in the history of flight and the Future of Flight focuses on where we are going. From Interstate 5 North or South, take Exit 189 and head west. Just past the Boeing assembly building, take a left at the four-way stoplight where Highway 526 intersects with 84th St. SW and Paine Field Blvd. The entry drive for the Future of Flight & Boeing Tour will be on your left. Parking is free. Children must be 4’ tall to take the Boeing Tour. No personal items or electronics are allowed on The Boeing Tour. There is limited public transportation on weekdays and no public transportation on weekends. The Museum is very conveniently located just a minute off of Interstate 5, and only 10 minutes south of downtown Seattle. 1. Take exit 158 from I-5. 3. The Museum is on the right, 1/2 mile. Free parking is available adjacent to the Museum with limited parking next to the Library and Airpark. Tour bus parking is located south of the museum in the Boeing Oxbow parking area. From either downtown or Tukwila Station, take METRO Bus #124. The bus has a stop directly in front of the Museum.